Travelling from North to South along the East Coast of Vietnam, exploring ancient capitals and new vibrant cities, ticking off an impressive list of world heritage sites and marvelling at natural wonders including an overnight cruise on Halong Bay and a day cruise on the stunning Mekong Delta. For the grand finale of this exciting itinerary there is the chance to see for yourself the temples of Angkor Wat. 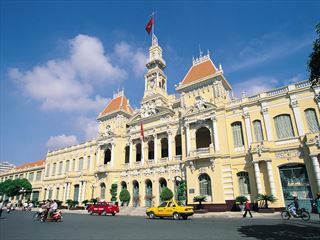 You will be met upon arrival at Hanoi airport by your private driver and transferred to your hotel. After check in, you will can explore the city at your leisure before a welcome dinner at a local restaurant and an overnight stay in Hanoi. 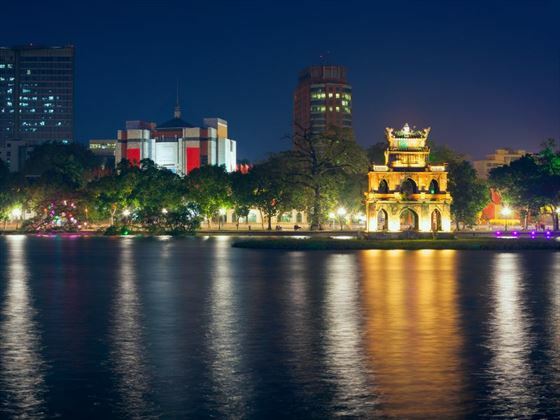 Enjoy a busy morning seeing the city’s most famous sights as well as some lesser known, visit the Ho Chi Minh Mausoleum and the Stilt House where he lived from 1958 to 1969, One Pillar Pagoda, Quan Thanh Temple, the Temple of Literature, Hoan Kiem Lake, Ngoc Son Temple, and more! After lunch you can sit back and enjoy a cyclo (pedal powered rickshaw) ride around the Old Quarter. In the evening, you will enjoy a traditional Vietnamese water puppet show before an overnight stay in Hanoi. You will depart Hanoi by private car / minibus around 8.30am for the drive to Halong Bay, arriving at the jetty around noon. You will join your chosen ‘junk’ (traditional Chinese sailing boat) and after your welcome onboard, a lunch will be served while cruising towards the bay itself. In the afternoon, enjoy the spectacular scenery from various viewpoints, enjoy some swimming in a quiet cove or sunbathe on deck. Later in the afternoon, you will visit an interesting fishing village with the opportunity to interact with fishermen who have been living in the bay for almost three generations. Towards the end of the day the boat sets anchor for the night among the karst formations. Dinner is served on board after sunset cocktails. Greet the day with morning Tai Chi and watch the sun rise over stunning Halong, breakfast is served on board (brunch on some boats) while the vessel cruises slowly through the magnificent rock formations and back towards port. Disembark around noon and transfer back to Hanoi to enjoy some free time and an overnight stay. 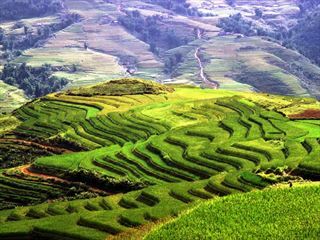 After breakfast, depart for a short flight to Hue, where you can explore at leisure before an overnight stay. After breakfast, embark on a romantic morning cruise on the Perfume River to see the elaborate tombs of the emperors and the Thien Mu Pagoda (Lady Pagoda) central to Buddhism in Hue. 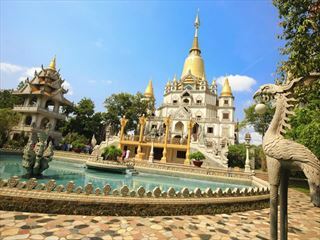 You will then re-join your driver for a tour of this imperial city, including the UNESCO World Heritage site of the Citadel and the Forbidden Purple City, the Imperial Museum and the colourful Dong Ba market. Return to yout hotel for an evening at leisure. Leave Hue for the incredibly scenic drive to Hoi An; you’ll climb over the Pass of Ocean Clouds with a stop in Danang for a visit to the Cham Museum and the handicraft villages at the foot of Marble Mountain to arrive in Hoi An for an evening at leisure. Hoi An is an attractive riverside town, formerly a trading port, the architecture carries Japanese, Chinese, French and Portuguese influence and much of the town has remained unchanged for over a 100 years. 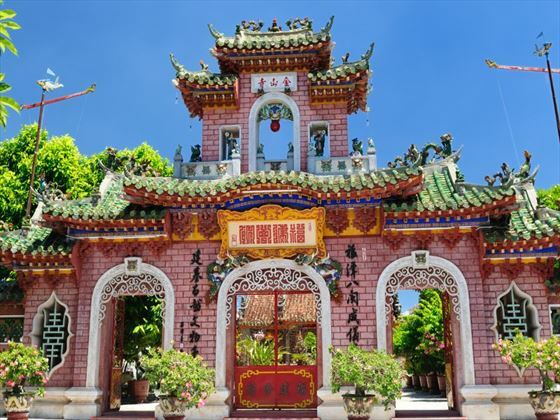 You will enjoy a half-day tour through the narrow winding streets of the Ancient Quarter visiting Chua Ong Pagoda, Chinese Assembly Halls and the Japanese Bridge, then enjoy some shopping or time at leisure in your hotel. Depart for Danang Airport for a 1 hr flight to Ho Chi Minh City. 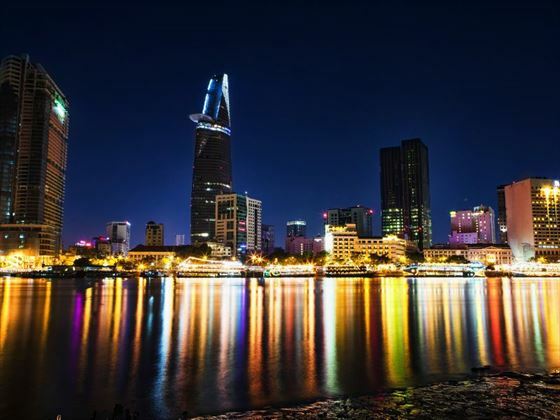 In the afternoon you will embark on a city tour of the city formerly known as Saigon, including the Reunification Palace, Notre Dame Cathedral, the Old Post Office and bustling Ben Thanh Market. Today you leave the city for a wonderful day out to Ben Tre a pictureseque and charming historical town only recently visited thanks to the bridge that now connects it to My Tho. Your excursion begins at 8am from the hotel reception, on arrival at Ben Tre you'll have time to wander along the waterfront admiring the French style shops and houses, see the coconuts being unloaded from boats ready for dispatch around the country. 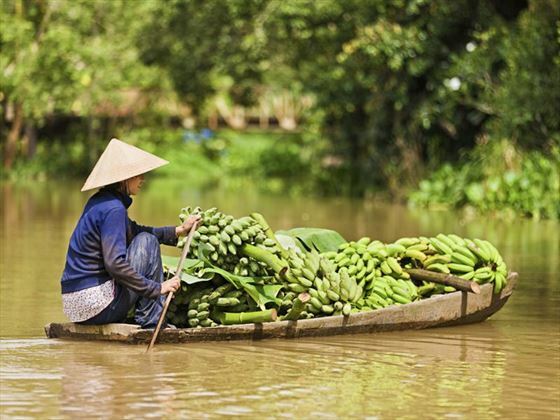 Later take a cruise down the Mekong River, enjoying a delicious lunch either on board or at a local restaurant. Around 4pm your tour will finish and you'll be driven back to your hotel in Saigon. A fascinating day ahead; spend the morning learning about the Cao Daism religion whose followers worship Jesus Christ, Confucius, Taoism, and Buddha with the symbol of the Divine Eye at the Holy see Temple. After lunch drive to the Cu Chi Tunnels, 250km of an underground tunnel system, three levels deep that were used as hideouts and shelters, field hospitals, factories and homes during the US-Vietnam War - get a feel for what underground life during the US-Vietnam War must have been like. After breakfast, take a flight to Siem Reap in Cambodia; upon arrival, you will be met and transferred to your hotel for check in (subject to availability). 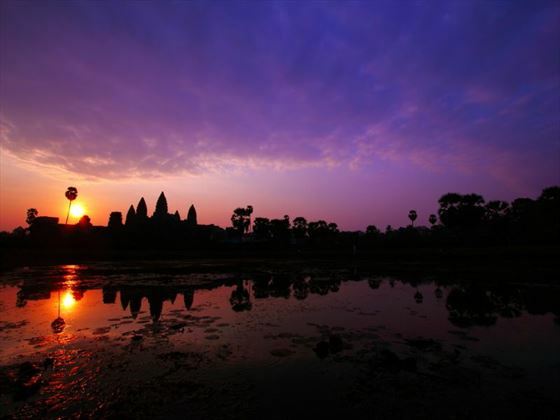 Start your Cambodian adventure by visiting the famous temple: Angkor Wat. Angkor Wat has been a World Heritage Site since 1992. After that, you will visit Bakheng Temple and enjoy a romantic sunset view form Bakheng hill. You will stay overnight in Siem Reap. Today, visit the fabulous Ta Prohm (embraced by the roots of enormous fig trees and gigantic creepers). At dinner, you will be treated to a charming Apsara dance show at a local restaurant before an overnight stay in Siem Reap. You will board a boat on Tonle Sap Lake and cruise past floating villages, complete with schools, restaurants, and hospitals. Transfer to Siem Reap International Airport for your departure. Your private car will collect you and take you to the airport for your flight home (time at leisure until your selected departure time).